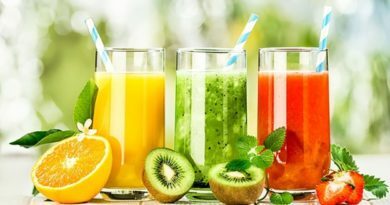 You read about weight loss ideas, implement it but it fails to deliver. I don’t blame the ideas, there is a good reason why it fails. Lot of experts talk about exercise like walking, cycling, running, weight lifting and other high intensity workouts to lose weight. While they are correct, the logical reason why this approach fails is because you ignore the diet. If we adopt a scientific approach to lose weight, fat assimilation will never ever be a problem. The approach should be to focus on 70% diet and 30% other things such as workouts, rest and controlling stress. If you do 70% right and 30% not so well, still you will be in reasonable shape. While diet is a very vast topic, it’s difficult for me to list all the recipes and ideas here. 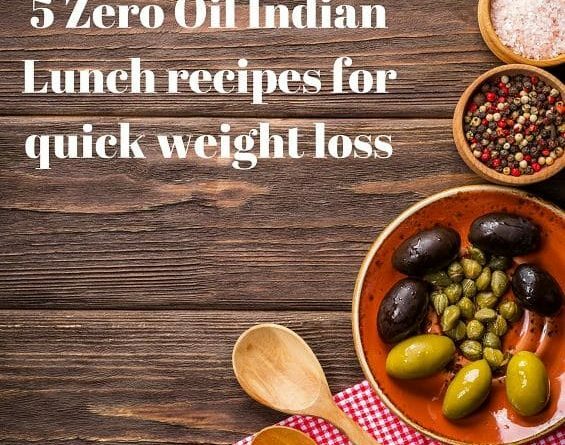 Having said that I will give you 5 quick and easy to make zero oil Indian weight loss lunch recipe that will help you to lose weight fast. 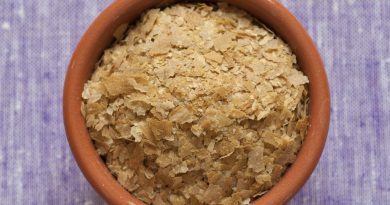 These recipes have been tried and tested, best part is you will get a lot of positive byproduct from these recipe. Positive by products include reduced cholesterol and Triglyceride levels, Reduction in blood pressure and improvement in cardiac output. 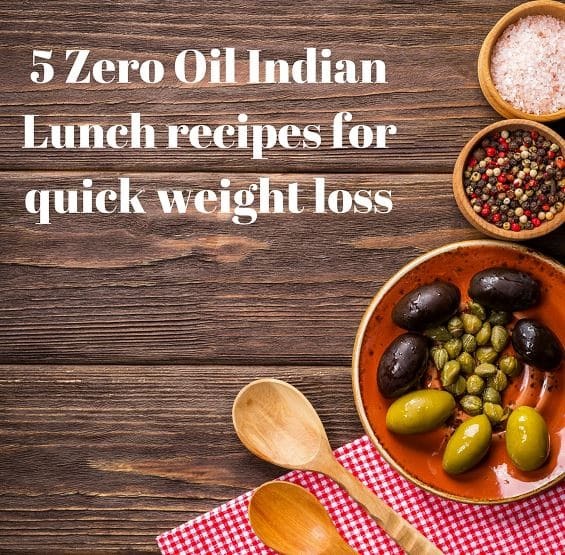 Here are my top 5 Zero oil Indian Lunch recipe for quick weight loss. Number one on my list is mixed vegetables Sabji. The reason I chose mixed vegetables is because you can get all the goodness of variety of veggies without sacrificing the taste. The more veggies you include in your diet the better would be your metabolism. The goodness of veggies are destroyed when it’s fried or when it comes in contact with oil. Oil is carcinogenic and therefore you must try to avoid oil while cooking. To make Zero Oil Mixed sabji you would need the following ingredients. Once you have the above ingredients ready you can make this Sabji in 5 Easy to follow steps. Step 1: Cut all the vegetables into small pieces & rinse it well. Step 2: Boil the vegetables for 5-7 minutes. Step 3: Sauté all the spices evenly. To Sauté the spices start by heating the pan. Once the Pan is heated, add the chopped onions and stir it for 20 seconds or so. Now add Curry Leaves and stir the mixture for another 40 seconds. Add the Ginger garlic paste and stir it for 30 seconds. Put the Masala’s one by one (Red chili Powder, Turmeric and Coriander powder). Roast all the masala’s well until its mild brown. Keep adding water using teaspoon as and when you see the mixture is sticking to the pan. Make sure the mixture doesn’t burn, adding water will avoid burning. Step 4: Now add all the vegetables & mix it thoroughly until it cooks. If needed you may add some water too and cover it with lid for 2- 3 minutes. Add the Garam Masala and Salt now and mix it well. Throughout the cooking process, stirring should be constant since we are not using any oil. Step 5: Garnish the dish with chopped coriander leaves. 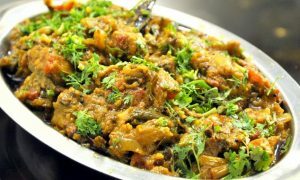 Serve this Sabji with Phulka (Oil free roti). Have this dish at least 2 times a week, this will reduce the acidity and strengthen the immune system too. Next on my list is Baingan Bharta. Baingan Bharta is extremely common in India especially in north side. Baingan is nothing but brinjal. But why did I choose brinjal? There are truckloads of benefits that brinjal has to offer. Regular consumption of brinjal helps you to lose weight, Control diabetes, Fight Anemia, Improve bones and acts as an Anti-cancer food. While brinjal is good for health not everyone gets the health benefits. The reason is Oil ruins the whole nutritional value of brinjal. You can easily make Oil free Baingan Bharta in 5 easy steps. Before that let’s take a quick look at the ingredients needed to make this fat burning food. Once you manage to get the above ingredients, next step is Preparation. The Preparation is pretty straight forward and easy to follow. Step 1: Bake the brinjal (baingan) on Gas/Owen. Step 2: Peel of the burnt skin & squish. Step 3: Sauté the spices in a pan for 2-3 minutes. To Sauté the masala begin with heating the pan. Add chopped tomatoes, mix it well. Sauté it until the spices are roasted (Don’t over roast it as it will become bitter, roast it until its mild brown). Step 4: Now add the brinjal (baingan) into the pan, mix it well with spices. Step 5: Garnish the cooked (brinjal) baingan bharta with chopped coriander leaves. Baingan Bharta can be served with Phulkas as well as Dal and Rice. Tomatoes are loaded with Vitamin C and antioxidants called Lycopene. When it comes to weight loss and fighting elevated lipid profile including tomatoes in your diet can be an excellent idea. You can not only use Tomato as a food item but also consume boiled tomatoes for breakfast if you are on a mission to lose weight. I would recommend to include Boiled Tomatoes in your diet especially if you are over 40. As you age the cell renewal process slows down. Therefore sufficient consumption of fruits and veggies high onlycopene can help stop or slow the aging process. There are tons of benefits of consuming boiled tomatoes (Excluding the seeds). 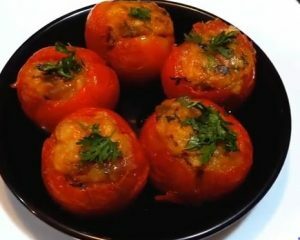 Let’s learn how to make Bharva Tomato without a drop of oil. Green chilly chopped ½ spoon. Step 1: Cut the tip of the tomato & remove the seed. Start by adding the Onions to the Pan and sauté it until it turns golden brown. Add the chopped Green chili and keep stirring it for a minute. Step 3. Add all the vegetables & sauté for 2 minutes. Step 4: Now add some salt to taste and stir it well for a while. Step 5. Fill in the tomato with the cooked vegetables evenly. Step 6. Bake the tomato with the stuffing inside at 200c degree in the Owen. You 100% zero oil Bharva tomato is ready to be consumed at lunch. This is generally a side Lunch dish that goes well with Dal and Rice. Having said that, Bharva tomato can also be consumed at breakfast too as it’s easy to prepare. So Instead of consuming high calorie and cholesterol loaded egg consume this. This dish is highly versatile i.e. you can use this on Lunch as well as on Breakfast to lose weight. It is an extremely popular dish in North India and everyone knows about this dish due to its popularity. Sarso ka Saag is astoundingly healthy and nutritious. But the positive nutritional value is lost when it’s cooked in oil. Remember, oil does not have taste of its own, so including Oil is not adding any value, instead it harms you in many ways. The real taste is in the spices you use. This Oil free lunch recipe is targeted for those who wants to lose weight and reduce cholesterol levels. To make Sarso ka Saag without oil you would need below ingredients. That’s all that you need to make this amazingly nutritious dish. Let’s take a quick look at the preparation technique. Step 1: Rinse the spinach (saag) with water & steam it. Step 2: Sauté ginger & garlic paste in pan until it turns mild brown, then add Tomato puree & mix it thoroughly. Step 3: Start adding the Spices one by one and sauté it for a while. Step 4: Now add the spinach (saag) & mix it with the spices. Step 5: Cook for 10-15 minutes. Step 6: Garnish it with chopped ring onion. Your 100% zero oil Indian lunch is ready to be consumed with Phulka (Oil free roti). This was a challenge for me initially. I failed multiple times only to realize how easy it was to make Bhendi Masala without any oil. The challenge that I faced was Bhendi used to be uncooked even after trying to fry it using water. I mean it had that uncooked feeling and the taste of masala’s used to be strong and it was simply not good for taste buds. Then I realized I can use Owen and check if it’s possible to make Bhendi without oil and guess what the results were simply amazing. You too can make this Oil free recipe in 6 easy to follow steps. Before that let’s look at the ingredients. These are the only ingredients that I use. 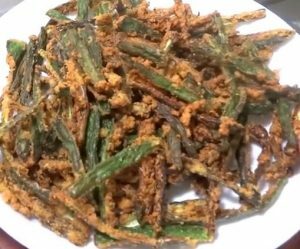 Make Bhindi Masala in 5 easy steps. Step 1. Mix all the dry spices well. Step 2. Rinse the bhendi (ladyfinger) & dry them out. Step 3. Cut the bhendi (Ladyfinger) from the middle & fill them with the dry spices. Step 4. Now bake it for 15-17 minutes in Owen. Masala Bhendi (Ladyfinger) is ready to be served with Phulka or Dal and Rice. All the recipes mentioned above will help you to lose weight and reduce the cholesterol levels in as less as 30 days. Removing oil from your diet is the single most important thing that will make a difference of at least 1 – 2 kgs within a month. Zero Oil recipes not only helps to shed pounds quickly but also helps to keep lifestyle diseases away. Out of the 5 recipes mentioned above which one did you like? Don’t forget to comment below and let me know. I personally like the first one. My Name is Hemant Sarkar and I am the Author and founder of FatLossPlanner.Com with over 15 years of expertise in Weight Loss Industry. I spend most of the time researching the recipes and techniques that enhances the lifestyle.